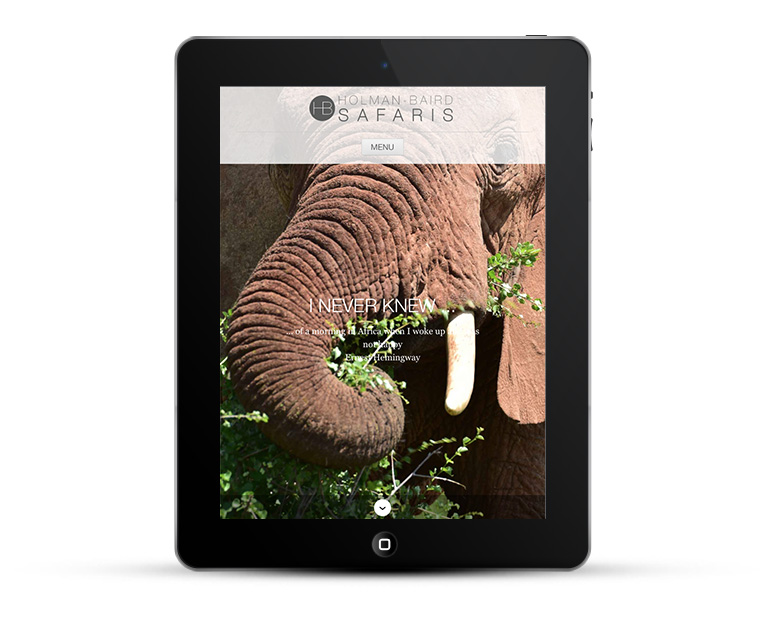 Holman-Baird Safaris offers distinctive and individual marketing guidance for small, owner run camps and lodges across Africa. Having worked as a tour operator in England and set up, managed and run lodges in Kenya and Botswana, Louise Holman-Baird and her team understand the importance of a personal and proactive relationship between lodge and operators. 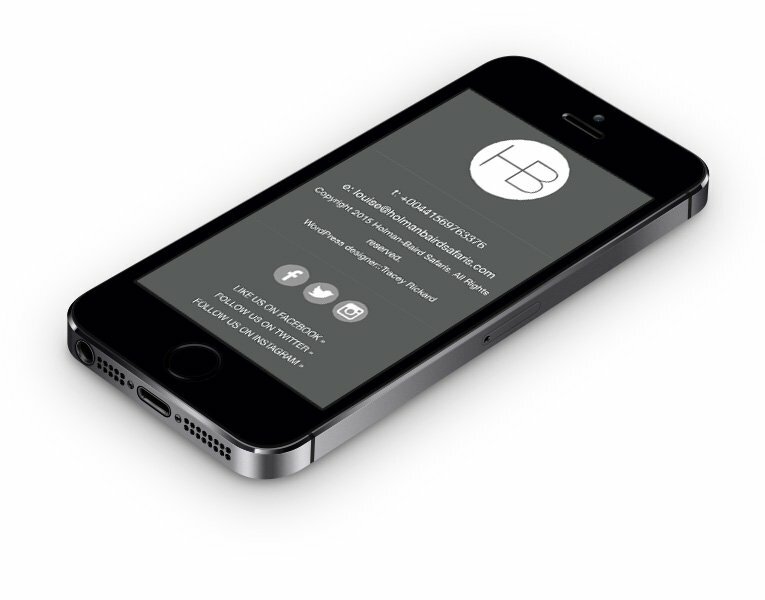 Holman-Baird offer brand management and communications by providing face to face marketing, brand awareness, social media and online promotions. 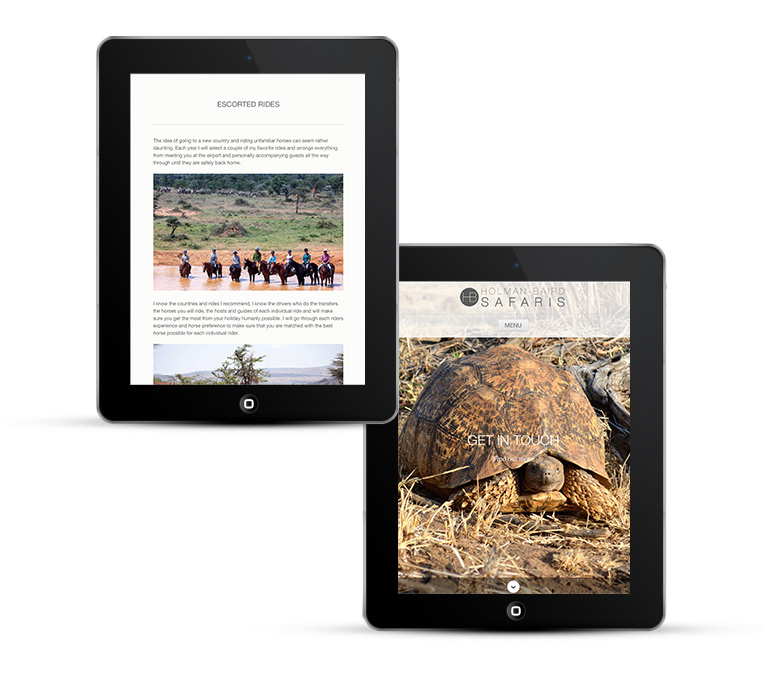 Holman-Baird safaris wish to portray the emotional attachment, plus deep care and understanding of each of the properties that they have hand-picked to represent. 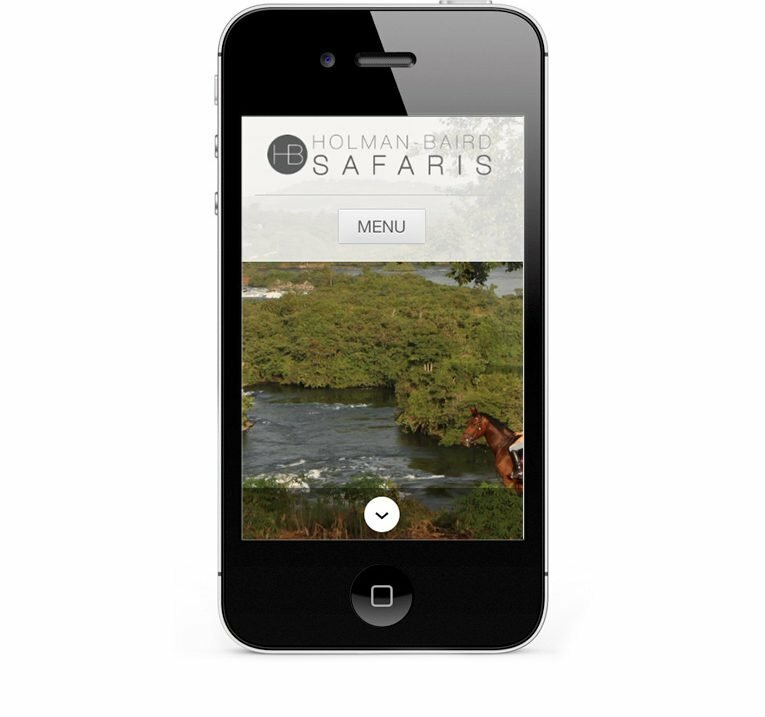 Consumers should feel that they are getting an exceptional safari experience at exceptional value for money. 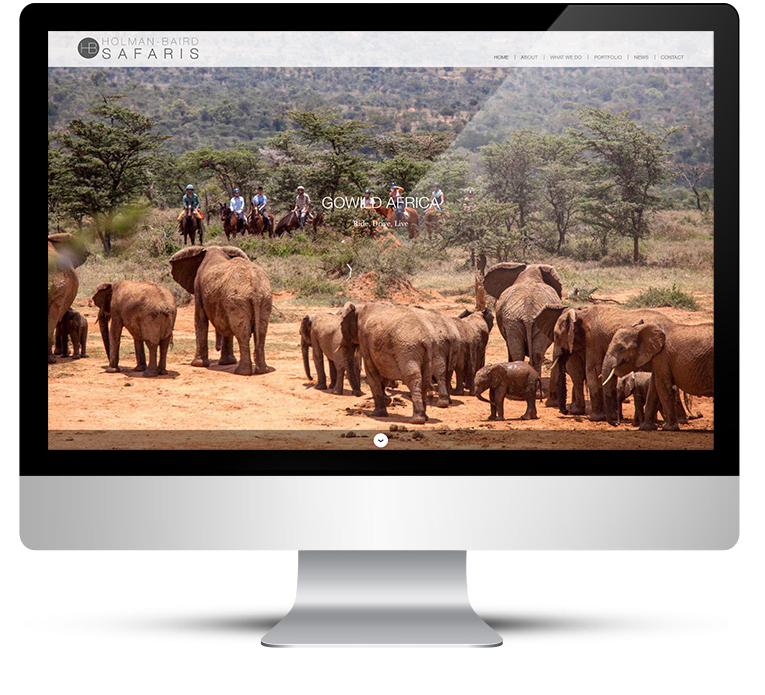 Louise wanted the website to showcase the whole safari experience and show property owners the benefits of working with a quality marketing company. Lastly it needed to be professional and easy to use. The simple WordPress design compliments the classic branding and style perfectly. 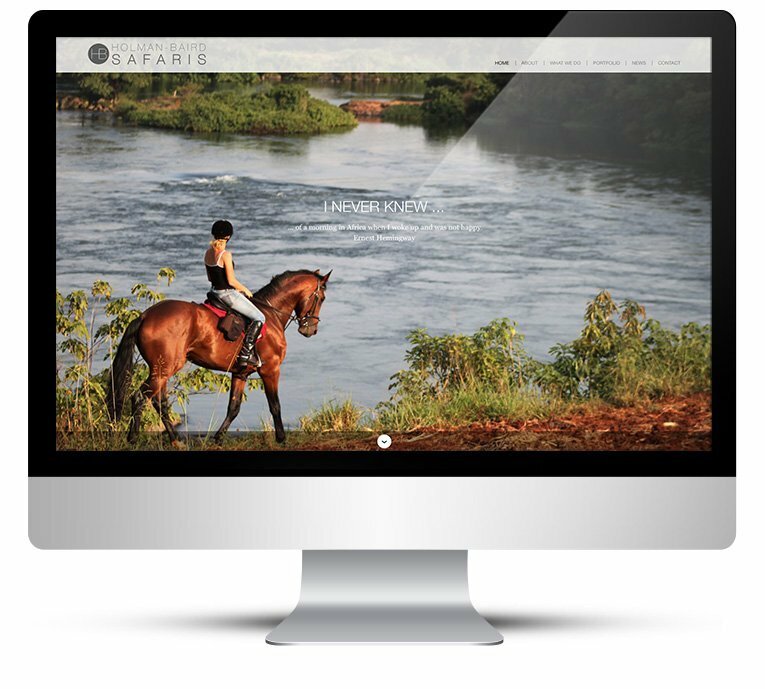 Gorgeous images on the home page immediately immerse the visitor in the safari experience and demonstrates the quality of the properties available. Property portfolios feature galleries and write ups to showcase the properties, this clearly demonstrates the care and understanding that Holman-Baird have for every one of their properties. The website is professional and easy to navigate. A simple plain font was used to portray this classy brand. Buttons and icons were created to blend with the grey branding. 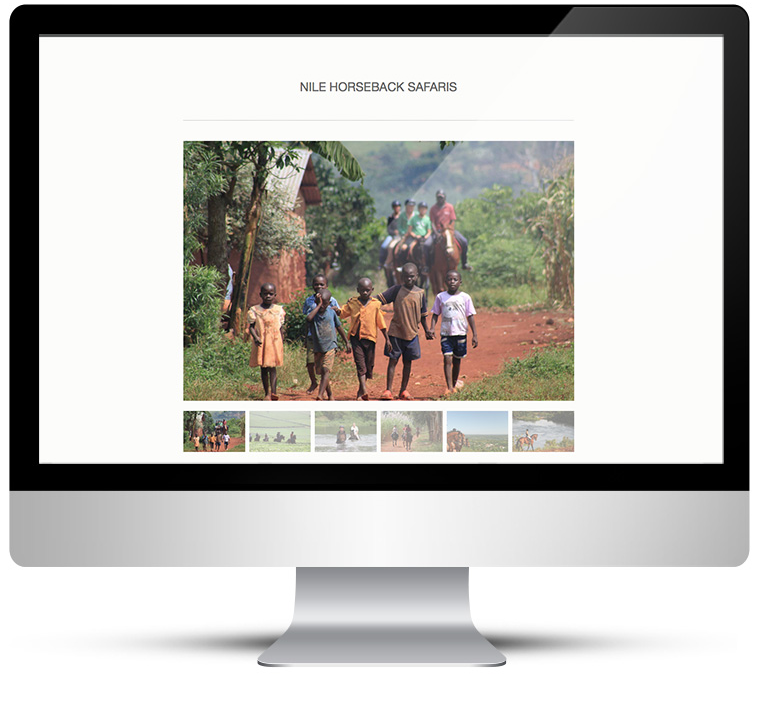 This is a custom website design built on the WordPress platform, so that the client can easily edit content and images. 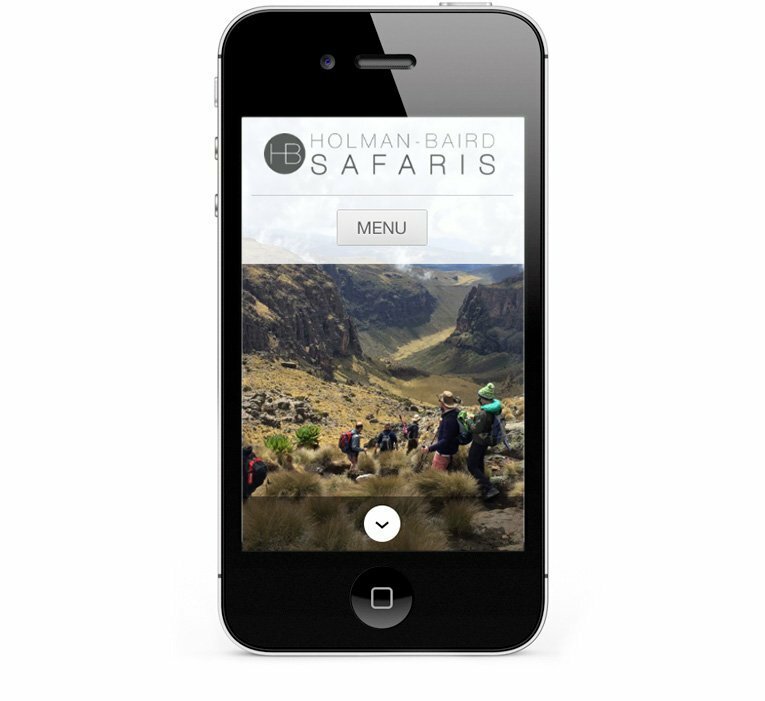 The brochure style website is fully mobile responsive and Google friendly. Always a pleasure to work with beautiful images, I enjoyed this project very much!